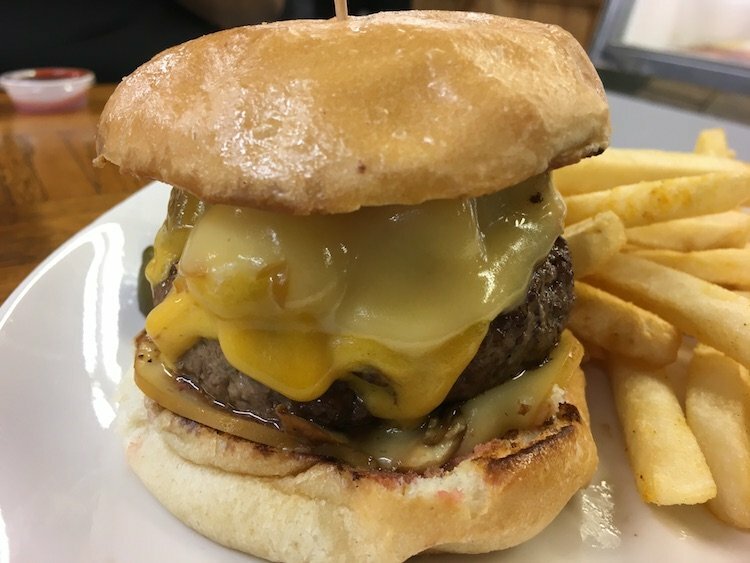 Chuck Wagon is a mini-chain (3 locations) of western themed restaurants located in Miami on the outskirts of Westchester (7355 Bird Rd) in Coral Terrace, Kendall (7628 SW 117 Ave) and West Kendall (11230 SW 137 Ave). *The original location (Kendall) has been in operation since the early 1970s and the one I ate (Coral Terrace) at has been around since 1979. Chuck Wagon is known for its homecooked-style comfort food for Breakfast & Lunch. This is the type of place that specializes in Meatloaf, Patty Melts, and Home Fries. I came in at about 10AM and had a hankerin’ (yes, I really did just use that word) for some Hash Browns. There are no HBs at Chuck Wagon but there are Home Fries. Who’s counting calories here? Not me so I added Onions and Cheddar Cheese. Now that my appetite was fully awakened I saw the Menu Board Special of “Smoke Sausage Skillet”. I didn’t even ask what it was, I pointed at it like Babe Ruth might have back in the day. How do you want the Eggs? Surprise me. Toast or Biscuits with that? Biscuits Mam. And so this beautiful dish arrived that was an amped up version of what I just started with. I’m not complaining as I really loved the loaded Home Fries. So you take the Cheezy Onion Home Fries then add Green Peppers & chopped up Smoked Sausage pieces with a couple of Eggs on top. Wow, just wow. Loved it. I used one of the Biscuits to break open the yolk floodgates on those Eggs. The other one was properly buttered up. It has been a long time since I had stopped in at Chuck Wagon but I’m extremely glad I did. Their Patty Melt is calling me so they can expect me back very soon. *The West Kendall location opened in 1998.